The Vancouver Sun recently reported that researchers at the University of Toronto are working on a "groundbreaking" research which may soon lead to a treatment for spinal cord injuries. The researchers, led by Dr. Mark Erwin, are investigating the healing potential of a stem cell population called "intervertebral disc stem cells". At the moment, the researchers have only conducted experiments on animals using adult stem cells extracted from intervertebral discs (intervertebral fibrocartilage), the pillow-like cushions in between the vertebrae which serve as the spine's shock absorbing system. 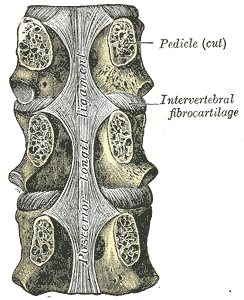 Intervertebral discs in thoracic region. 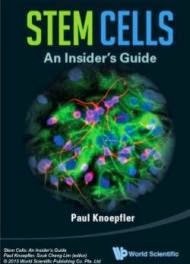 Reportedly, the preclinical findings indicate that these stem cells can differentiate into nerve cells and may have the capacity to prevent disc cells from dieing. In the best case scenario, the research will lead to a treatment in which a patient with spinal/disc injury receives his own, cultivated cells that in turn will regenerate his damaged nerves or discs. - Great news for spinal cord injury victims: A placebo-controlled human clinical trial shows that a combination of stem cells and physical therapy can partially restore both sensory and motor functions in patients with debilitating spinal cord injuries.